It seems like we are not too far off now from a public release of an untethered jailbreak for both iPhone 4S and iPad 2. 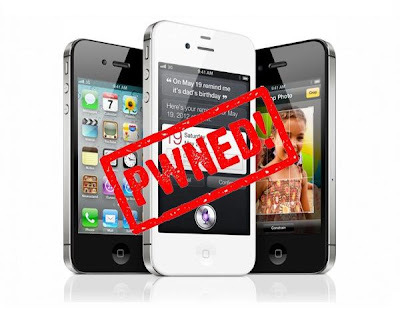 Pod2g, who is the genius behind this iOS 5 exploit for both A4 and A5 devices, has posted a video on his blog which shows jailbroken iPhone 4S running Cydia, on iOS 5.0.1, fully untethered. Earlier today, a member of the so called “Dream Team”, the legendary iPhone hacker PlanetBeing, tweeted out some more progress on A5 jailbreak (for iPhone 4S and iPad 2), confirming unsigned code running successfully on his iPhone 4S. While there is still no official ETA from either of the Dev-Teams for this most awaited jailbreak in recent times, but if the “hint” in Pod2g’s blog post is anything to go by, it is only a matter of few more days now before we can all get our hands on jailbreak for both iPhone 4S and iPad 2. In the meantime, if you still haven’t upgraded your iPhone 4S or iPad 2 to iOS 5.0.1 yet, it is highly advisable to do so now as Corona untethered jailbreak exploit has been reportedly patched by Apple in the latest iOS 5.1 Beta. You MUST upgrade your device to final version of iOS 5.0.1 now before iOS 5.1 is released to public. This is important because once final version of IOS 5.1 is out, you wont be able to downgrade your device back to iOS 5.0.1 and hence will be out of luck for any jailbreak until the next one pops out – which probably wont be available anytime soon. And those of you who are sporting A4 devices, you can follow our complete step by step guide posted here to jailbreak iOS 5.0.1 untethered on iPhone 4, 3GS, iPad 1, and iPod touch 3G/4G using Redsn0w.